If you create any kind of content, product or service online or off, whether you're a social media influencer, running a small business, writing a blog, making online video, or any number of other activities Design Wizard may be the cloud based graphics app for you. Design Wizard speeds up the graphic design process by giving you a library of pre designed templates, you can customize, suited to almost any situation. The process is simple. Choose a template size suited to the type of graphic you're designing. For example a Facebook Page Banner image or a Youtube Channel page image. Select a design along the lines of the style you're going for, then tweak and customize the design with your own text and/or graphics. There are templates for almost every conceivable graphic design situation from Facebook cover pages right through to DL print flyers and more. Templates for both digital and print applications. 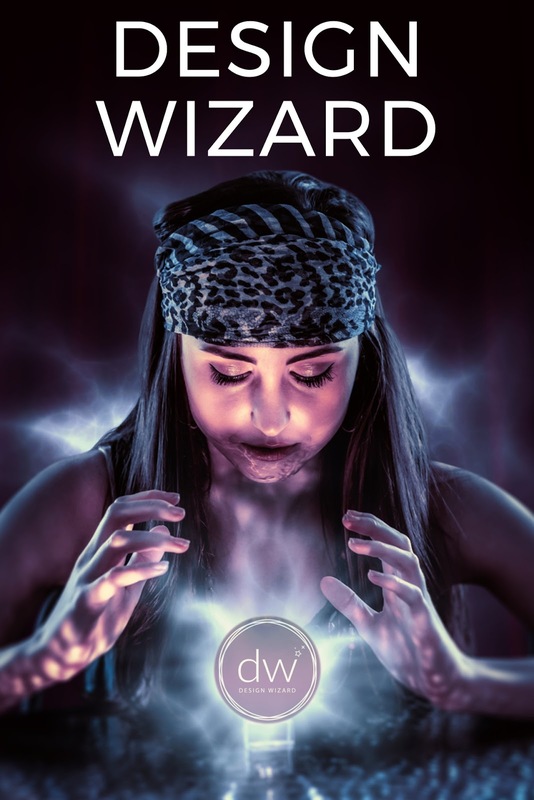 All of the templates and any images in Design Wizard's library are licensed for commercial use, so you're free to mix'n'match as much as you want without fear of any copyright infringement. You're also able to upload your own fonts and images, and create your own custom palettes for even more flexibility. Not just a still image graphic editor, Design Wizard also has short video templates that you can customize with text and other images. Templates are limited to one video clip. Currently you can't upload your own videos to the site. 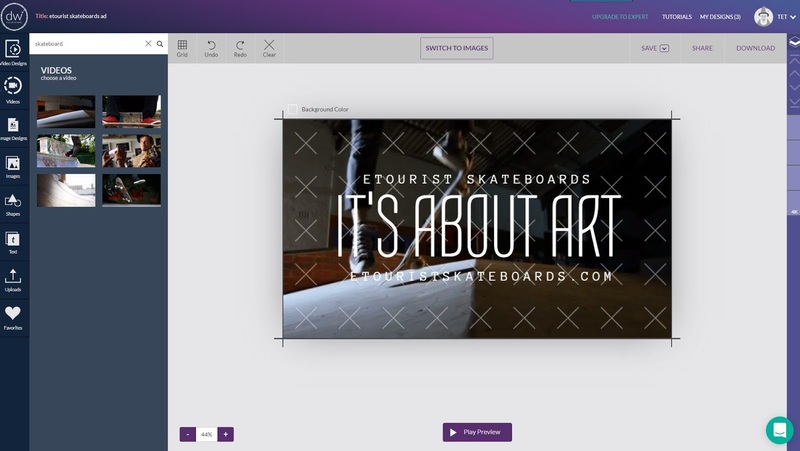 All of your finished designs, including videos, can be downloaded to your computer, or shared directly to many of the social media sites you're probably already using. A basic (Apprentice) account is free and gives you access to everything but you're limited to 15MB of storage for your uploaded images, and you'll need to pay to share your Premium images and template designs if you use them. (There is a selection of totally free content to get you started). Paid accounts start from US$9.99 per month giving you more upload storage space and includes Premium content per month up to a specific credit value. Neither paid account gives you credit to download video content which costs US$19.99 for HD quality ($4.99 for a lower quality version) across all accounts. Design Wizard gave me a month of free upgrade to their Pro account so I could better review the site (though I must stress this is not a paid review, all opinions are my own). a girl are my images, everything else is Design Wizard. As an image/graphics composition tool Design Wizard is easy to use, has plenty of flexibility for customization, and will certainly speed up the design process. If you typically use a lot of stock images and like the convenience of being able to customize a template instead of starting from scratch (though you can certainly do that too), Design Wizard does what it does well. Being cloud based means you can access your designs from any computer, which is great if you're a multi-device nomad like me. Despite being able to search the extensive template library (which you can explore without an account here) using keywords, I found it a little difficult to find templates that suited my needs. Not because the designs aren't great, all of the ones I saw were top notch designs, but because of the way the templates are organized. So much of design starts with a feeling or a style you're going for over the actual subject matter, and then you want to coordinate that over all your marketing materials. It would be useful if Design Wizard sorted its library into styles and design sets i.e. the same designs across different templates for different situations. 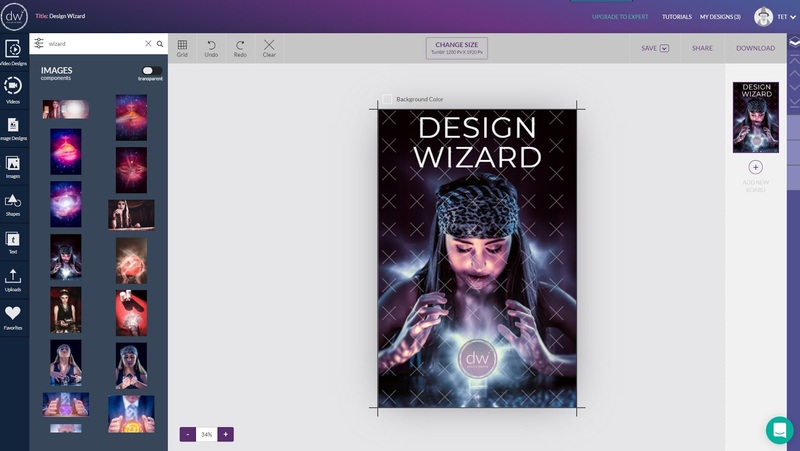 On the plus side, Design Wizard will allow you to switch a template to a different canvas size whilst retaining all the elements of your design. Meaning you can rearrange everything to fit the new format. However, if you don't have an eye for design your rearrangement may not look as polished as the original, professionally designed template. If your preference is for video templates Design Wizard may be a little too pricey for what they offer. At this stage their video clip library just isn't deep enough and the $19.99 pricing in my opinion is too steep for HD downloads of about 15 seconds of video. It is nice to have the video templates as an occasional break from static images, but, if you plan to use video a lot, you can get better value on sites that specialize in video templates with much more flexibility and the ability to upload your own clips. 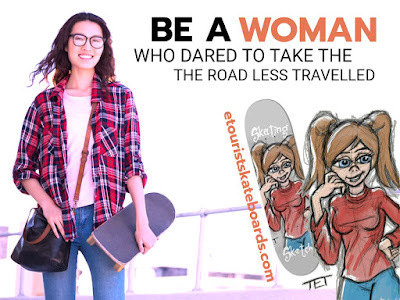 I created this video advertisement to promote my etourist Skateboards site. I'm not sure Design Wizard is the best value for video ads. Overall I think Design Wizard is a very useful graphics composition tool that I would recommend as a static image design/composition tool. I like that the free option still gives you access to everything, making it great for someone who can't justify a subscription but is willing to pay for individual templates as needed. The paid accounts seem like good value for power users who rely on stock images in all their marketing materials. The site certainly lives up to its tagline of creating impressive designs quickly and easily. The user interface is easy to learn, and if you are struggling, there are short video tutorials that will definitely give you a good start. If you need graphics quickly, or you don't have the time to learn complex design software, Design Wizard may just be the application for you. It sounds like this could be very useful for beginners or businesses who don't have the time to learn graphic design. Youtubers might really love this. Would be good for all of those. Essentially anyone who wants to fast track the design process.